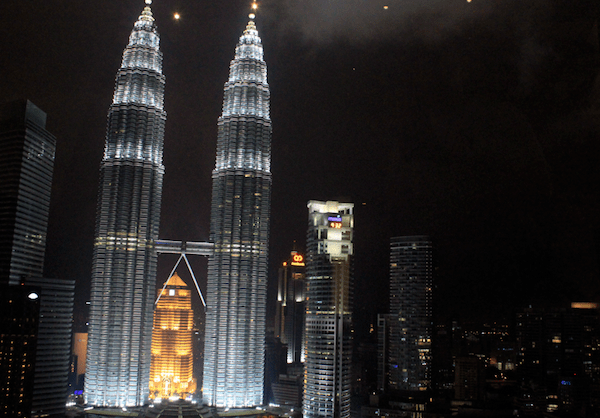 After checking out the sights Kuala Lumpur, I joined the trend-setters at Trader’s hotel– part of the Shanghri-la hotel group. 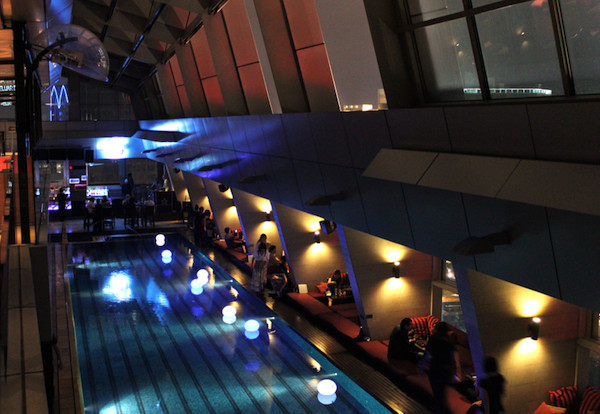 The rooftop pool hosts live DJ sets and dance parties on weekends at the Sky Bar. 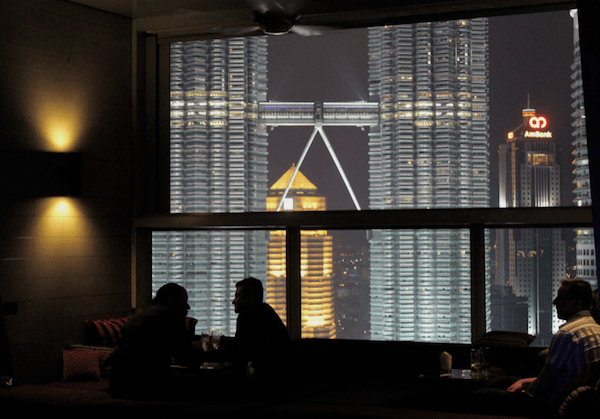 This bar is the best place in town to take in the stunning panoramic view of the city and the Petronas Twin Towers. The choice of casual dining are also plentiful at Trader’s – visitors are sure to enjoy Western and Asian cuisine in the Gobo Chit Chat restaurant underneath an animated light show.